The GMCF-10 10G30C has no configurable options. Please see the specifications table for more details or contact our team today if you have other specification requirements. Please specify the quantity you require below. The GMCF-10 10G30C is supplied in boxes. 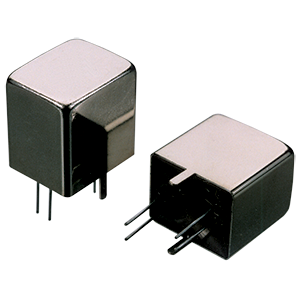 The GMCF-10 10G30C 6 pole crystal filter from Golledge with centre frequency of 10.7MHz features a 30kHz 3dB bandwidth. Discover full specifications, including insertion loss and package size here. To request a quotation for the GMCF-10 10G30C please use the configurable options form to choose the options you require and then submit your configured product to our team. Our expert advisers are always happy to help with your requirements and can be contacted on +44 1460 256 100 or at sales@golledge.com. Following product selection you will be issued with a seven character Golledge part number. Your Golledge part number is the internationally accepted Golledge manufacturing part number (MPN) that should be used for all project documentation, including bills of materials (BoMs) and purchase orders. If you have any queries regarding any of our documentation our dedicated sales team will be happy to help. Our GMCF-10 10G30C is included in the following design libraries. Click to download the library of your choice.